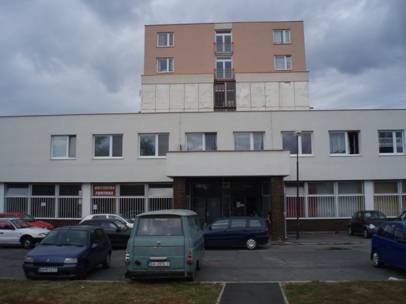 The Boarding-house Fortuna is one of the ex-social Boarding-house in a Bratislava city part Dúbravka. At the moment there live 365 people and 162 children and young adults, together 124 families. Maximum time for accommodation in this boarding-house is 5 years. During this period people and families must looking for a long-term stable income and permanent living. 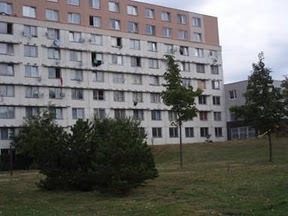 The applicant is required to have a residence in Bratislava. - people and families, who are reliant for this accommodation from different occasions. Boarding house has 8 floors. By the new house order visits of habitants are allowed only from 15:00 – 19:00. Every visitor must go to the lodge, prepare some legitimating for going inside. In the environment of the boarding-house resides social worker Dana Karasová who provides basic social advisory for people. Boarding-house misses the playground for kids, benches for mums, for spending a free time together, clean environment outside the house. Thats why we are trying to ask and talk with people from municipality Bratislava to gain some finances for a new playground.